Many thanks to Co-op Funeralcare for showcasing One a Day in May! Please check it out the next time you’re on the Chippenham High Street. The four pieces of litter I grabbed today are all cans. Aluminium cans are the top recyclable we find in Chippenham: 510 have been found this year alone. 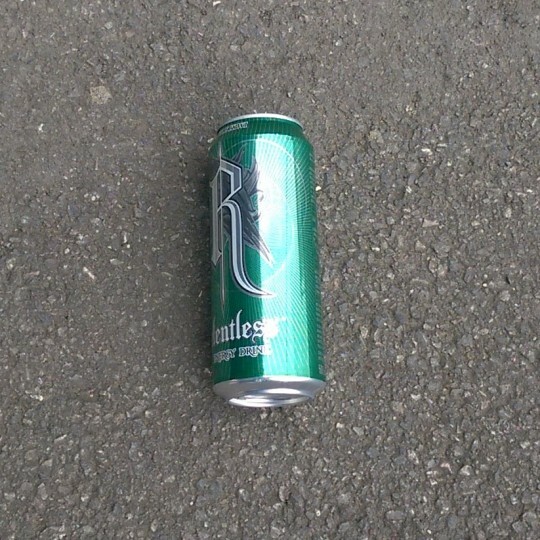 These particular cans are alcohol (Kronenbourg 1664) and energy drinks (Relentless and Monster), which are two of the three most littered categories of beverage. All that’s missing is a can of Coca-Cola to finish off the full ACE* trifecta! 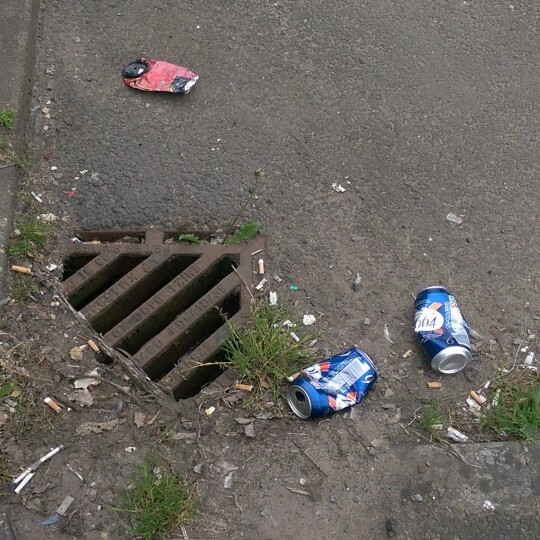 I understandably did not pick up the cigarette butts, but this showcases how insidious litter is: all of this is inches away from a drain. It wouldn’t take much for the cans or other litter to block it, and the butts themselves leach chemicals into water and soil. Is this really what we want in our community?